Already know what to work on? Start here. Find out where your big miss comes from and how to fix it. Step-by-step courses to revamp your short game. Golf is more than just a swing. Learn to get the most out of your game. Here, we'll work on a step-by-step method for removing the slide. You'll improve in a way that doesn't prevent you from hitting the links between phases and build feels you can carry to the golf course. Included with your Premium or Elite Membership. In this course, you'll get a step-by-step guide on removing your over the top move once and for all. You'll learn the exact sequence that causes this dreaded move and how to fix it. Included with your Premium or Elite Membership. You don't actually need to get rid of your extension, you just need to extend later in the swing. This course will teach you the proper lower body sequence in 4 simple phases. No more EARLY extension. Included with your Premium or Elite Membership. A flip or early release can lead to many consistency issues and is a major compression killer. In this course, you'll learn how to use your hands and arms correctly to get rid of your early release. Included with your Premium or Elite Membership. Too much lower body sway leads to contact & direction control issues. Learn how to pivot correctly and stay centered throughout the swing with this step-by-step guide for eliminating the sway. Included with your Premium or Elite Membership. Shallowing is the effect, not the cause, of a good body sequence. By teaching you to rotate better and perfect your wrist conditions, this course will get you shallow in 4 simple phases. Included with your Premium or Elite Membership. In this course, we'll learn to build speed by adding rotation and ingraining the proper body tilts. In the last phase, you'll also learn to turn speed into compression with the correct hand conditions. Included with your Premium or Elite Membership. I don't prescribe to a swing model, but there are positions in the golf swing that can set you up for success better than others. In this course, you'll learn my preferred swing model, start to finish. Included with your Premium or Elite Membership. Tired of laying the sod over the ball? This intuitive step-by-step course will teach you to get rid of your heavy shots in just a couple of range sessions, while teaching you to 'bottom out' correctly. Included with your Premium or Elite Membership. 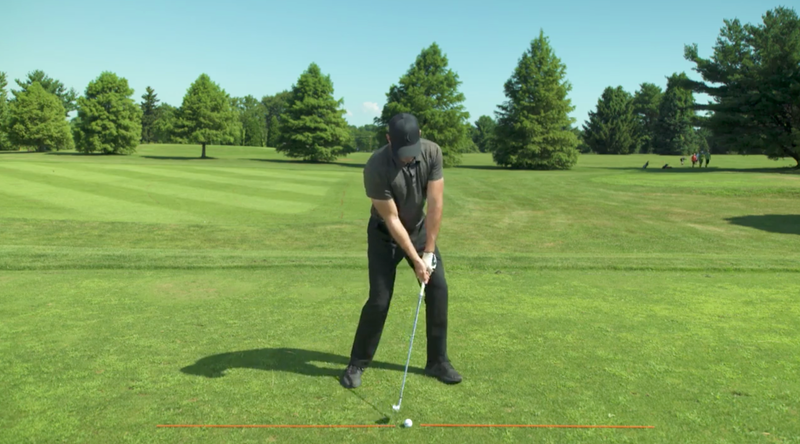 Learn how to get rid of the slice with this course's intuitive approach. Once you've got a good understanding of what causes a slice, I'll walk you through some key drills and feels to eliminate it. Included with your Premium or Elite Membership. ▶ PHASE 4: Rotation, Rotation, Rotation! ▼ PHASE 4: Rotation, Rotation, Rotation! 1 - Rotation, Rotation, Rotation! Eliminate your hook for good and learn to build a more predictable ball flight with this simple, step-by-step guide. You'll be amazed at the progress you can make in three simple range sessions. Included with your Premium or Elite Membership. Getting rid of a pull can be easier than you think if you practice the right things in the right sequence. In this course, I'll walk you through a tried and true progression for eliminating the pull. Included with your Premium or Elite Membership. The push can be the lesser evil of the two directional misses, but a miss that can be costly nonetheless. Through this course, you'll learn why you push it and how to fix it without losing speed. Included with your Premium or Elite Membership. No, you're not 'picking up your head too quick'. In this course, I'll teach you to get rid of your topped & thin shots in just a couple of range sessions, while teaching you to bottom out appropriately. Included with your Premium or Elite Membership. ▶ Are You Picking Up Your Head? ▼ Are You Picking Up Your Head? With this course, I'll teach you how to get rid of the shank and regain confidence in your ball striking, starting from set up. You'll be making centered contact in no time with my progressive lessons. Included with your Premium or Elite Membership. Having confidence in a reliable stroke can make a world of difference on the greens. In this course, you'll learn to build a solid stroke through various games & drills that will keep you entertained. Included with your Premium or Elite Membership. In this course, I'm giving you a ton of drills and games to improve your putting speed control. Leave the thinking at the door, since I'll tell you what to practice and when. You just have to show up. Included with your Premium or Elite Membership. There's nothing more frustrating than throwing away strokes around the green, especially with a simple chip. In this course, I'll teach you to stop hitting fat chips and get more predictable results. Included with your Premium or Elite Membership. In this course, I'll walk you through the basics of the wedge's bounce, and through structured practice, you'll learn why the bounce gives us the biggest margin of error around the greens. Included with your Premium or Elite Membership. In order to be a good bunker player, wait for it, you have to get out of the bunker. In this course, you'll learn the correct technique to get out of the bunker every time and how to control trajectory. Included with your Premium or Elite Membership. With this course, you'll learn how to start capitalizing from 100 yards and in with a wedge. I'll teach you an intuitive way to think about your wedge play you can carry straight to the golf course. Included with your Premium or Elite Membership. Less than 2% of golfers ever break 80. That's because 99% of them are focusing on the wrong priorities. From accuracy and consistency, to short game and course strategy, this course will show you how. Included with your Premium or Elite Membership. One errand shot can be one too many. With this course, I'll walk you through how to improve your accuracy and consistency during practice, and more importantly, how to carry it to the course. Included with your Premium or Elite Membership.